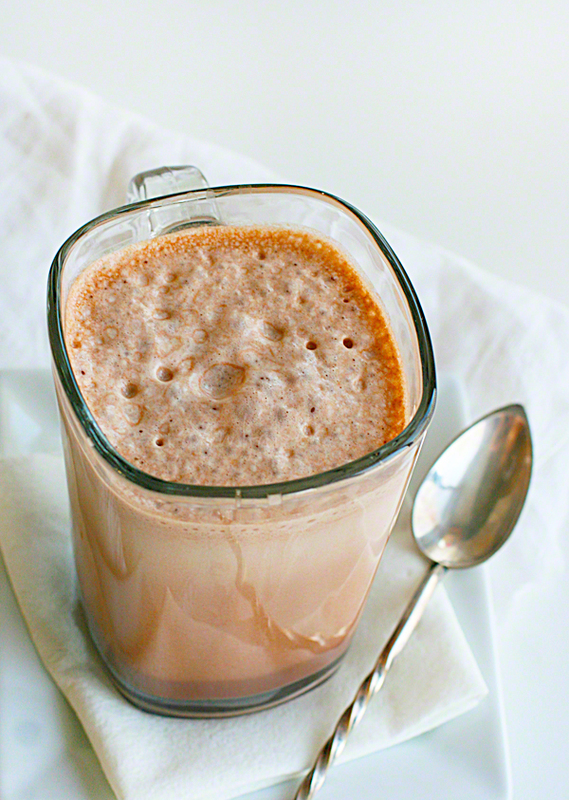 This is quite possible the easiest and cheapest and best option for Chocolate Milk. I am talking BEST chocolate milk I have had. For some reason, when I have tomato soup, I want chocolate milk with it. I know, strange! 1. Pour milk into blender. Add in cocoa, powder sugar, and vanilla. Blend all ingredients until fully incorporated, about 30 seconds.